Spring is right around the corner, but Buffalo State activities are already in full bloom. There’s much to see and do on campus, including a special week of events as part of the eighth annual Southeast Asia Week Celebration. Tuesday, March 12, 12:15 to 1:30 p.m.
Chawne Kimber, professor of mathematics at Lafayette College in Pennsylvania and an award-winning textile artist, will present the Women’s History Month Keynote. Kimber's talk will address her artistic practice and its connection to United States history as well as to current social issues. A reception will be held in the Rockwell Hall Metcalf Room from 4:30 to 6:30 p.m.
Tuesday, March 12, 5:30 to 7:30 p.m. 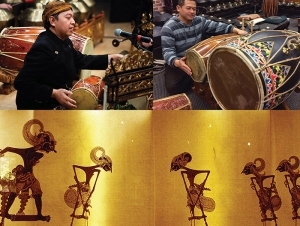 This exciting evening concert will feature music performed by the Buffalo Gamelan Club and a shadow puppet show featuring Wayang puppet master Darsono Hadiraharjo and drummer Heri Purwanto. The Buffalo Gamelan Club plays traditional music from the island of Java in Indonesia, an inspiring and evocative music that fills audiences with wonder. Part of the Southeast Asia Week celebration. Free and open to the public. Free parking. A Gamelan music workshop will be held Tuesday, March 12, from 12:15 to 1:30 p.m. in the Ciminelli Recital Hall. Wednesday, March 13, 1:00 to 1:50 p.m.
What is culture? What are the characteristics and dimensions of culture? What kinds of culture do Southeast Asian countries have in common? How are they different from Western or American culture? Student posters will be on display along with formal presentations. Part of the Southeast Asia Week celebration. Free and open to the public. Wednesday, March 13, 5:00 p.m. to 6:30 p.m.
Panel discussion with Patrick McGovern, Atta Ceesay, and Kyeonghi Baek of the Political Science Department and Vida Vanchan of the Geography and Planning Department. This panel seeks to provide a geopolitical framework of regions around the globe by providing information on the current state of politics in North America, Africa, East Asia, and Southeast Asia. Part of the Southeast Asia Week celebration. Refreshments will be served. The Buffalo State Theater Department and Casting Hall Productions present the award-winning play The Wolves, written by Sarah DeLappe. Performances continue March 13–16 at 8:00 p.m. and March 16 at 2:00 p.m. Admission is $15 for the general public, $10 for seniors and students. Advance tickets are available online, by phone (716) 878-3005, or in person at the Rockwell Hall and Student Union box offices. March 14, 12:15 to 1:30 p.m. Discover an exciting shadow puppeteer theater workshop with master puppeteer Darsono Hadiraharjo. Wayang is a form of puppet theater art found in Indonesia and other parts of Southeast Asia. The workshop features puppets, vocal narration, characteristic movements, and scenes giving the audience a unique experience. Hadiraharjo is a visiting scholar and guest director of the Cornell Gamelan Ensemble at Cornell University. Part of the Southeast Asia Week celebration. 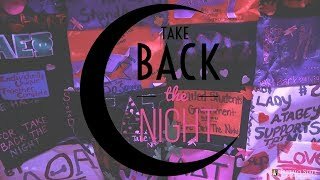 March 14, 2019, 7:00 to 9:30 p.m. Beyond Boundaries: Dare To Be Diverse screening and discussion series presents RBG (2017), directed by Betsy West and Julie Cohen. RBG chronicles the career of U.S. Supreme Court Justice Ruth Bader Ginsburg, which spans several decades, and how she developed a legal legacy while becoming a pop-culture icon. There will be a panel discussion after the screening. Free and open to the public. Friday, March 15, 3:00 p.m. The spring 2019 Conversations in and out of the Disciplines series continues when Andrea Guiati, SUNY Distinguished Teaching Professor of Modern and Classical Languages, presents “Bob Dylan: ‘The Protestiest Things He Has Protested against in His Protest Years.’” A brief wine-and-cheese reception will follow. Everyone is welcome. The Buffalo State Guitar Club, Seconda Prattica, and the Great Lakes Guitar Society present the Leo Brouwer International Composition Competition to be held at Buffalo State College, Friday, March 15–Sunday, March 17. All Buffalo State faculty, staff, and students may attend any or all events free of charge. For more information and a full schedule of events and campus locations, please visit the event website. Monday, March 18, noon to 1:30 p.m.
A talk with Jacqueline-Bethel Tchouta Mougoué, assistant professor of history at Baylor University. Her talk, in honor of Black History Month and Women's History Month, examines how debates about wearing slacks in 1960s West Cameroon framed negotiations about ideal womanhood, urban subjecthood, and public behavior as the newly created Federal Republic of Cameroon sought to balance the legacies of British and French colonization.